So for a long time I have seen how under appreciated Detroit artist are. There has to be an end to this because the most amazing artist I have met have come from my city and I have been all over the world. When a man of talent, many degrees and amazing work is cast in the shadows of the art world it is a huge problem. 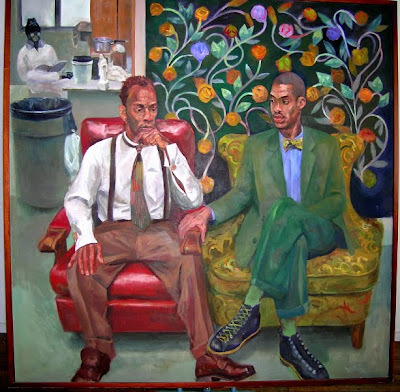 Now I want to see your knowledge of such a man, I will show you some images of art works from a man that graduated from CCS, moved on to receive his Master's degree from Yale and participated in the highly esteemed Artist in Residence program at the Studio Museum in Harlem. 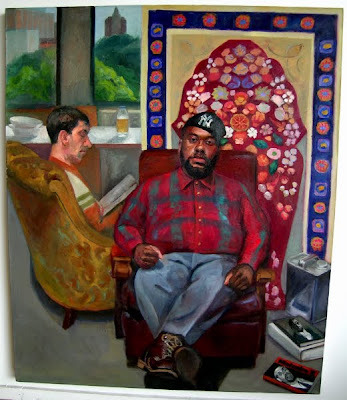 So do you have any idea, If you know anything of Detroit art, this is a man that should be at the top of your list. Do some research if you have no clue and I am not giving his name until someone provides it for me. Uplift the grand Talent of Detroit artist and Detroit will have a revival like no other. Why do you think New York, L.A, Atlanta, Chicago, Florence, Rome, and Amsterdam are such major cities and hot spots. What do all these places have in common? It should be very easy to figure out, history tells all their stories with a common factor.